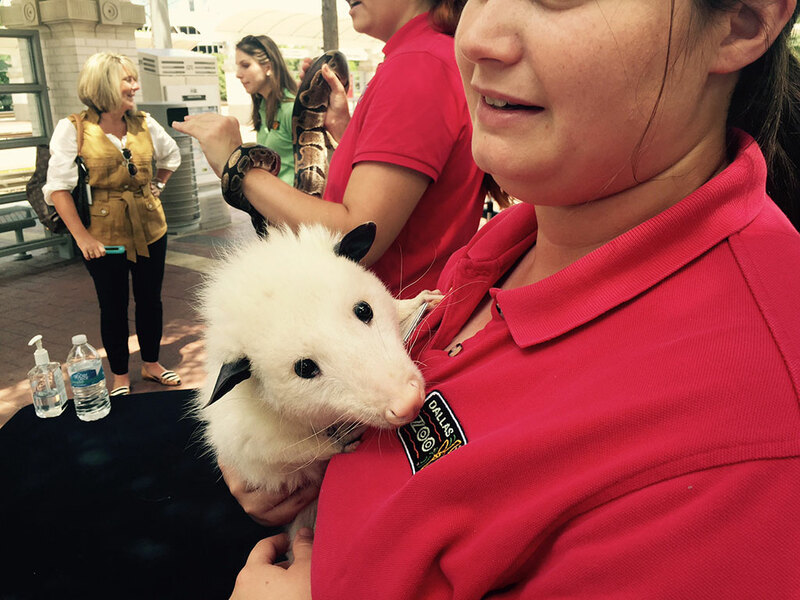 Representatives from The Dallas Zoo brought some furry friends to DART’s Union Station at a TRE Staycation Wednesday in July. Going to the movies is fun and board games offer a dose of friendly competition, but why not try something different? The TRE Staycation Wednesday offers North Texas families the opportunity to get out and explore the world around them. This week, join KVIL’s Leigh Ann and Courtney Kerr on a train ride to Fort Worth. You’ll board the TRE at CentrePort/DFW Airport Station. Be there by 11 a.m. on August 12. Leigh Ann and Courtney will ride with you to the Fort Worth Intermodal Transportation Center. From there, you are on your own to explore Sundance Square. A ride on the TRE is exciting in itself for kids and the kids-at-heart, and adding to the excitement will be prizes and giveaways.